Jacksonville, North Carolina, is the 14th largest city in the state. It is also the youngest city in the United States demographically, due in part to the large military presence in the area (Jacksonville is located right next to Camp Lejeune). The average age of Jacksonville is just 22.8 years. This makes it a great city for young individuals and families alike, since there are always events being planned as well as plenty of outdoor activities to partake in. 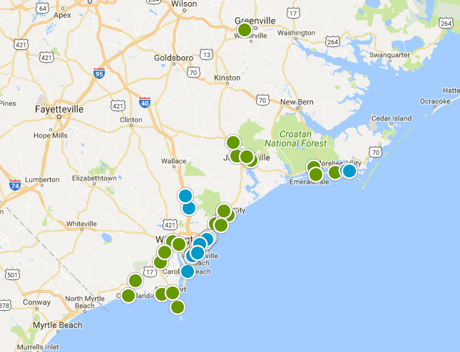 Located near North Carolina’s southern outer banks, Jacksonville is a rapidly growing community. Let the experts at Swansboro Port Realty help you find your new home in this young and vibrant community. Since the market is quickly increasing, there is no better time to invest in real estate in Jacksonville than right now!